The lost and backslidden through the Word of God and demonstration of God’s Power! To bring the body of Christ to maturity so that they know who they are in Christ. The church to win souls and release 5-fold ministry gifts to see churches planted throughout the Province. At Barrie Victory Centre there are two basic areas that God has called us to focus on. We are to have a burning passion for the Presence of God so as to release the “Restoring Fire of God” in Barrie and area. This Fire will result in the lost being found, the sick being healed and the oppressed going free. Secondly, we are committed to seeing believers reach their full potential in God; equipping the saints for the work of the ministry. Leadership training and hands on ministry opportunityes are part of what is needed for the Simcoe County to be impacted by the Kingdom of God! There is one true Godhead comprised of the Father, Son and Holy Spirit. All are co-equal and co-eternal. Jesus Christ, God manifest in the flesh, is the second member of the Godhead. Man was created in God’s image. By voluntary transgression he fell and his only hope of redemption is in Jesus Christ, the Son of God. Man’s only hope of redemption is through the shedding of the Blood of Jesus Christ. On the Cross, Jesus Christ became sin and sickness, thus providing both salvation and healing for all mankind. This salvation comes by believing in your heart that God raised Jesus from the dead and confessing with your mouth that Jesus Christ is Lord of your Life. The inward evidence to the believer is the direct witness of the Spirit. The outward evidence to all men is a life of true holiness and love. Salvation is by faith in Jesus Christ and not by human works; however, our works are evidence of our faith and will determine our reward in eternity. Baptism in water is a declaration to the world that a believer has died with Christ and that they have been raise with Him to walk in newness of life. The celebration of the Lord’s Supper by eating of the bread and drink of the cup is a remembrance of Jesus. All believers are entitled to and should expect and earnestly seek the promise of the Father, the Baptism in the Holy Spirit; according to the command of Jesus Christ. With this comes the endowment of power for life and service, the bestowment of gifts and their uses in the work of the ministry. The Evidence of the Baptism of the Holy Spirit is found in speaking with other tonques and spiritual power in public testimony and service. The Church is the Body of Christ. Every believer is an integral part. Total prosperity is available to every believer spiritually, mentally, physically, financially and socially. The Blessed Hope is the return of Jesus Christ to gather all His saints to heaven. Those who have not accepted the redemptive work of Jesus Christ will suffer eternal separation from the Godhead in hell. The Millennial Reign of Jesus Christ with His saints will occur on earth as the Scriptures promise. After this there will be a new heaven and a new earth. Paul & Debby McCulloch are Senior Pastors & Founders of Barrie Victory Centre. They are a great team. Paul & Debby love to pray and enjoy being all that God has called them to be in the Body of Christ. They know they have been called to release the restoring FIRE OF GOD and to equip Holy Spirit led believers to build God’s Kingdom. 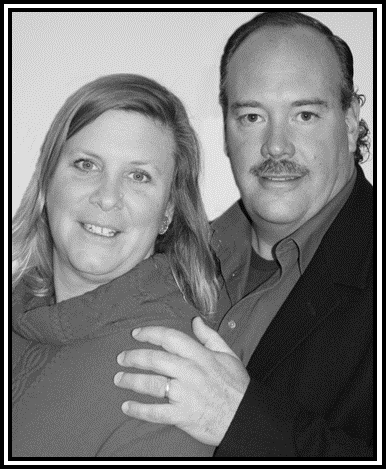 This husband & wife ministry team planted BVC in 2004 and also planted Crossroads Victory Church in Owen Sound in 1991. From Owen Sound, 5 churches & a Christian Academy were planted. Paul & Debby know that the Presence of God is the only Power we need in Canada. Paul has a very strong prophetic calling with apostolic tendencies. Debby has a true pastoral heart. They love to see others fulfilltheir destiny. This combo produces churches supernaturally in Ontario. Paul is also a Director on the Victory Churches of Canada International Board and is Overseer of Eastern Canada. He loves to preach God’s Word and is excited to see everyone on FIRE for JESUS!